The roof on top of Crane Technical High School on Jackson Boulevard in Chicago is blindingly white—so reflective that we’re squinting through our sunglasses. 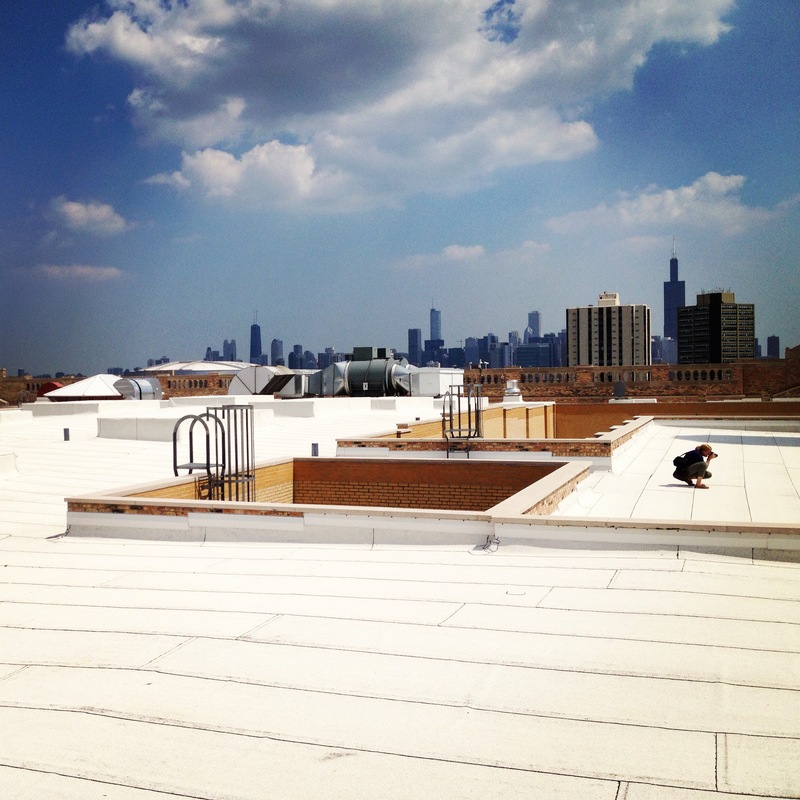 Installed by Knickerbocker Paving & Roofing Co., the 110,000-square-foot white roof is part of Chicago’s efforts to reverse the urban heat island effect that can make cities up to 10 degrees hotter than surrounding rural areas. From our vantage point, we can see a mosaic of light-colored roofs reflecting the sun’s rays away from the urban core.